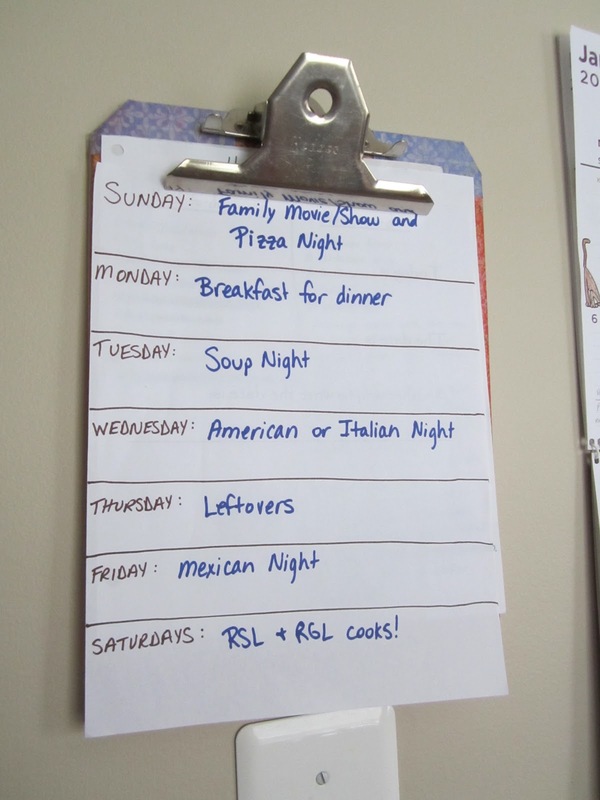 For the past three months, we have been using a predictable meal plan technique to feed our family. It has been WONDERFUL!!!! Absolutely WONDERFUL!! It makes life so much easier to know that every Sunday is pizza night and every Friday is Mexican food night! 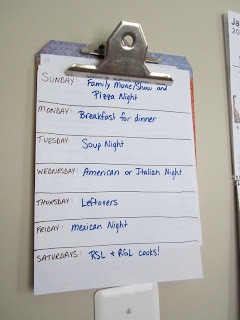 Meal planning is sooooooo much less stressful, and my daughter even eats with less complaints than previously. She knows every Tuesday she's going to need to eat soup, and she just accepts it because Tuesday is soup day! I highly recommend this approach if you're getting burnt out with meal planning because it will re-energize you!